Early Bird Season Passes Now On Sale! You can now purchase your 2017-18 season pass. We recommend using the online registration (click here), but paper registrations are also available (click here). New this year, early bird pricing is only available with on-line registrations. 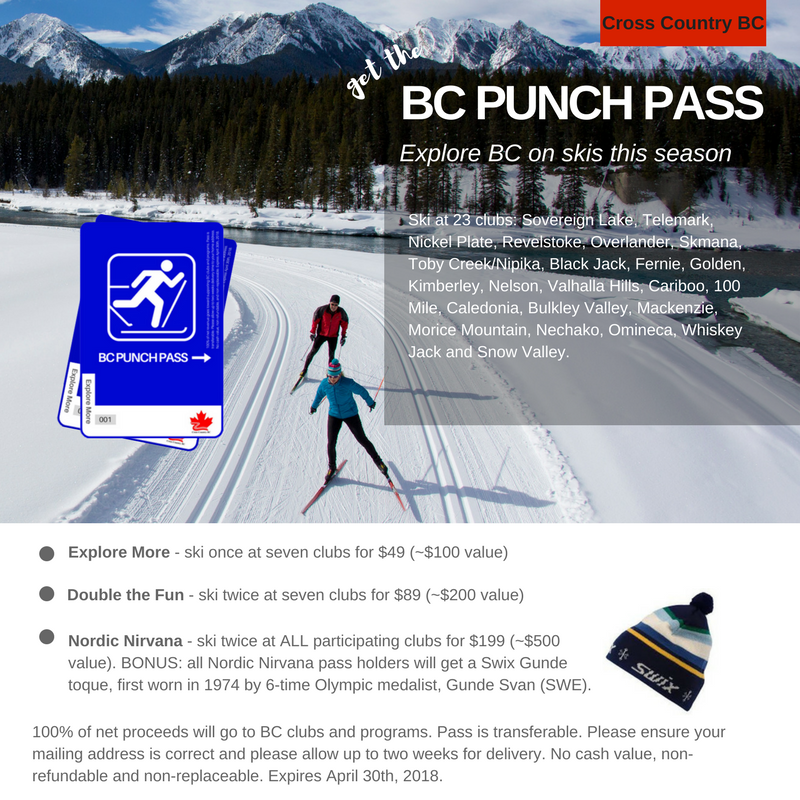 Also, get your BC Punch Pass with your on-line season pass purchase — see below. Help Us Win the CCBC Membership Contest! We are competing to win the CCBC Membership Drive contest again this year. Last year we narrowly edged out Caledonia for the impressive CCBC prize package (remember the Christmas silent auction?). Please help us repeat by purchasing your season pass early, and encourage your coworkers, friends and family to buy a season pass! To give you an incentive, Telemark will be making 3 prize draws for people who purchase memberships prior to the draw dates. Kelowna Toyota deluxe detail package, including complete meticulous hand washing and drying of vehicle exterior, detailed interior cleaning including vacuuming of seats, carpets and floor mats plus cleaning of glass and instrument panel, deodorization of the passenger compartment, and detailed inspection report of vehicle interior and exterior. Approximate retail value $100. Draw date 11:00 PM Saturday October 7. MEC Gift Card. $100 gift card for anything in stock at MEC Kelowna. Draw date 11:00 PM Tuesday October 31 (end of early bird pricing) . Fischer Twin Skin Pro skis + bindings OR complete youth ski package (skis, boots, bindings, poles) from Kelowna Cycle. Approximate retail value $550. Draw date 11:00 PM Friday December 1 (end of CCBC membership contest). We are thrilled to announce Kelowna Toyota as Premier Official Title Sponsor for the Telemark Cross Country Junior Race Team and the Okanagan Elite Ski Team. This is a community driven business which has made a significant financial commitment to support the success of our athletes. Please support our premier sponsor. 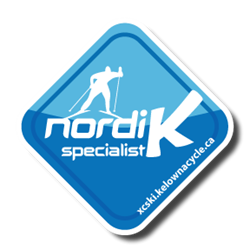 Present your Telemark season pass at Kelowna Toyota’s reception desk to access the Telemark special customer experience. Sneak Peek. Watch for this when you buy your membership this year!